Why do toddlers need to nap? Toddlers need to nap to support their growth and development. Their bodies and brains are growing at very rapid rates and they need time to recharge and process all of the many things they are learning all. of. the. time. In addition, toddlers are little people, just like us, who become irritable without enough sleep. Your toddler will be much happier and better behaved with adequate sleep, which will also cut down on temper tantrums (but we can’t guarantee cut them out completely!). When do babies transition from two naps to one? Babies transition from two naps to one nap around 15-18 months old, on average. Many 13-14 month-olds gradually begin the transition, but transitioning too early can lead to a big mess with waking at night, waking too early in the morning, or taking very short naps. Keep in mind that to transition to one nap, your baby will now need to stay awake about 5 hours both before the nap AND after the nap. This is no small feat for many younger toddlers. They may be able to do it for one day, but not yet every day without melting down or showing other signs of being too tired. Need more help with transitioning naps? Check out How to Manage Nap Transitions. How many naps should my toddler take? Most toddlers will take two naps until 15-18 months old, on average, and then take just one nap until the age of 3-4 years old, on average. Nap transitions can vary quite a bit, however. Some toddlers transition to one nap as early as 12 months old and some 5-year-olds are sometimes still napping. The average age that toddlers stop napping is between 3 and 4 years old, with some dropping it around 2 1/2 and others not until age 5 and beyond. Being unable to fall asleep early enough to have enough awake time before bedtime. Staying awake very late at bedtime and sleeping less than 9-10 hours at night. Skipping the nap 4 or more times per week no matter how early or late you offer it. Of course, once your toddler drops the nap he may need one once or twice a week as he gets used to the new schedule. It can take several weeks to a couple of months for your toddler to drop it every day long-term. How long should a toddler’s naps be? Once a baby transitions to 2 naps around 9 months old, all naps should be at least one hour in length to be considered restorative. Right before the transition to one nap, we sometimes see 4 hours of awake time before all sleep periods and total nighttime sleep dips to 10 to 10 1/2 hours. Sometimes, one nap becomes a shorter 30-45-minute catnap before the transition to one nap, too, but not always. Generally, if both naps are less than an hour and your toddler is over 13 months, you may want to consider transitioning to one nap. Once your toddler is taking just one nap, until they are at least two years old, the nap is typically 2-3 hours. After two years old, the nap can vary between 1-3 hours, depending on age and on how much sleep he or she gets at night. Some toddlers need long, restorative naps and some need longer nights to feel refreshed, but the total in a 24-hour period should stay relatively constant. *Average Wake Time refers to the amount of time your toddler is able to comfortably stay awake during the day between sleep periods. Please note: These are just sample toddler schedules. You will want to determine if your toddler is getting enough sleep, how much average sleep he needs, and set the schedule accordingly. 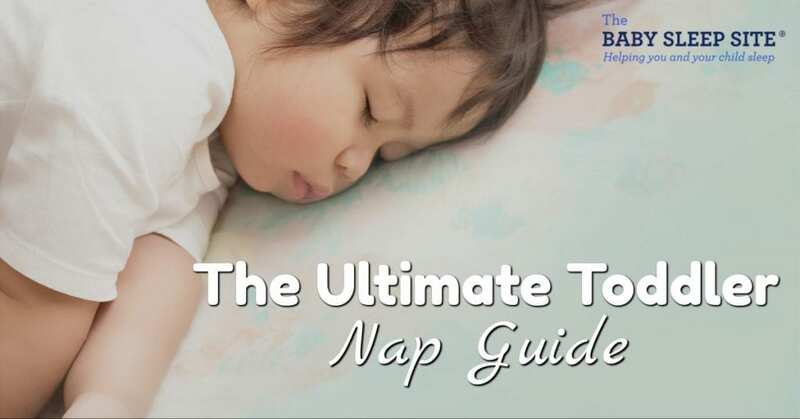 Short naps are a common complaint among parents, so you’re not alone! First, determine if your toddler’s “short nap” is age-appropriate. For example, a 17-month old who is still taking two naps may be taking one or two shorter naps because it’s time to transition to one nap. Or, a 3-year-old near the end of napping may only need a 45-60 minute snooze per day to get to bedtime. There is a difference between taking a short nap and not getting enough sleep versus getting the sleep she needs. Sleep Associations – If you are still helping your toddler fall asleep at the beginning of the nap, he or she may not be able to go back to sleep without your help. But, now that he’s older, once he’s up, he’s up! Teaching him how to fall asleep on his own at nap time could help lengthen the naps. Schedule – Naps sometimes shorten due to the wrong schedule. Your child may be under- or over-tired or he/she may be sleeping “too much” at night, depending on how much sleep he or she may need in total. Pacifier – If you recently stopped using a pacifier, your toddler may be having trouble with the adjustment. If it’s been less than 2-3 weeks, you may just want to give her more time. If it’s been longer, you may need to do more sleep training, offer her a new lovey, or consider giving the pacifier back until she’s ready to drop the nap for good. Hunger – Have you made sure your toddler’s next meal isn’t landing in the middle of a nap? If so, beef up the snack or meal before the nap. There are other reasons the nap might be short, but these are the main culprits. First, a nap isn’t usually “too long” unless it is causing insomnia in the middle of the night or you have another health concern. If your “problem” is that bedtime is getting too late or your toddler is waking for the day too early, then that’s more of a scheduling issue. This can be addressed by trimming the nap and/or shifting the schedule. Should I give my toddler lunch before or after the nap? Most people give lunch before the nap, but if your toddler is anything like mine were, we basically had “Lunch #1” before the nap and “Lunch #2” after the nap. After all, your toddler could be eating lunch at 11:00 AM and dinner isn’t until 6:00 PM or so. That’s 7 hours and many toddlers will have to eat a lot of “snacks” to get to dinner. Do yourself a favor and simply add in another “lunch.” It’s not really important what it’s called! If your toddler won’t nap outside your lap, your arms, or in bed with you, then this is a sleep association. This is not a “problem” unless you deem it to be. If you have the ability to nap every day with your toddler and you enjoy it, then wonderful! Enjoy it now because (see above) the nap WILL go away! However, if you enjoy napping with your toddler but you have other things to do like clean the house, cook dinner, or tend to his sibling, then it may not be practical for you to take a 2-3 hour nap every day or hold your toddler on your lap. If that’s the case, then you likely want to work on having your toddler learn how to sleep more independently with some gentle sleep coaching. Some toddlers will sleep fine in their crib or bed at night, but not during the day. Toddlers can be weird and it’s best not to try to apply logic to everything when it pertains to your child. If it’s not a problem for you where your toddler naps, then you don’t HAVE to change it. Of course, if you are required to walk the stroller (or drive the car) for 2 hours every single day, even in the winter when it’s snowing, this is not always practical. Again, just like the above, you may want to consider some gentle sleep coaching. We hear this from families all the time! Toddlers are smart and do learn different caretakers have different rules and routines. At daycare, the social “pressure” can encourage your toddler to do a lot of cool things at daycare that he won’t do at home like sleep, clean, and even go on the potty. And, of course, your toddler isn’t going to want YOU to leave her side. She may “love” her teacher at school but she reaaaaalllllyyyyy loves you! It’s not so hard to believe she’d have more trouble separating from you. But, as we know, children don’t always know best and what they “want” isn’t always what’s best for them (e.g. eating cookies for dinner). Try as they might to get their way, setting limits for your toddler is very important to sleep success at home. Babies not napping at daycare we hear about all the time, but this would be really unusual once a toddler is past 14 months old and not something we hear much at all. However, when my youngest was transitioning away from naps altogether (around 3 1/2 years old), eventually he stopped napping at daycare and would “catch up” on his sleep on the weekend. Once your toddler only needs 1-2 naps a week, they could land on the weekend at home where it’s quieter and comfier. If your child definitely NEEDS a nap at daycare and isn’t taking one, I’d talk to the teacher and/or director to see what’s going on and troubleshoot. Once the entire class is napping together, there’s really no reason your toddler shouldn’t be napping at school. Can my toddler nap on a mat? Sure! Maybe. Toddlers nap at daycare on mats all the time. At home, not-so-much. It’s a lot different when your friends aren’t at home and falling asleep left and right. Your toddler may get up off the mat a lot. It’s one of those things you may be able to teach and would take some consistent effort. Most transitions take at least a couple of weeks, so if it doesn’t work the first day, don’t necessarily give up. You may just need to give him some time and, possibly, rewards. How is your toddler napping? Share below! Have a big change when a child grow up. Your post is detail and has a lot of information about this. Hope to read more about sleeping of children from you.